Summer holidays are fast approaching and the weather across Australia is taking a turn for the better, so the weatherman says! 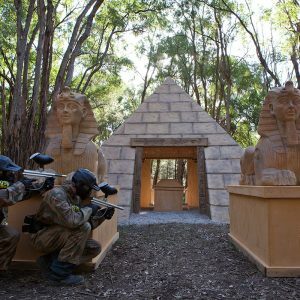 School groups and parents all over the country are booking up their day’s paintball action ensuring their students and children play paintball with Australia’s number 1 provider. Whether you’re celebrating a birthday or raising school spirit, a day of paintballing at Delta Force is an unforgettable experience. Every week we host countless birthday parties and other special events and with years of experience under our belt, we know what it takes to provide you with the ultimate paintball adventure! During the school holidays paintball has proven to be one of the most popular activities for kids (and big kids!). We have a spotless record of hosting parties for a variety of age groups and occasions. 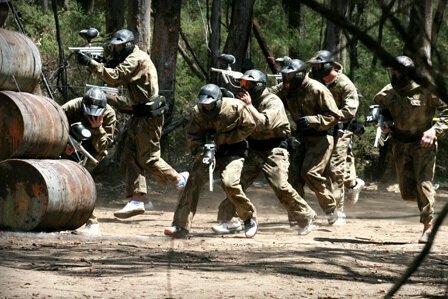 The minimum age to play paintball in Australia varies from state to state, click here to find out more. When parents or group organisers inquire about paintball, their first concern is always the same – safety. Delta Force Paintball is the industry leader, and our safety practices, procedures and equipment are our paramount concern. We hold a 5 star rating with the Australian Paintball Association (AUPBA), meaning we enforce the strictest safety standards to make your day with us run smoothly and as safely as possible. Not only are our paintball centres safe, but also they are professional and most importantly of all… fun! 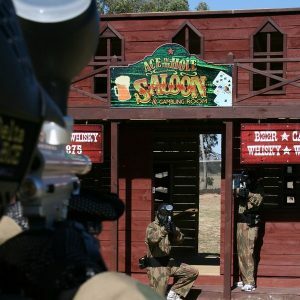 All players love our movie-set game scenarios, which enable all players the chance to fulfil their dreams of playing Cops and Robbers or Cowboys and Indians. 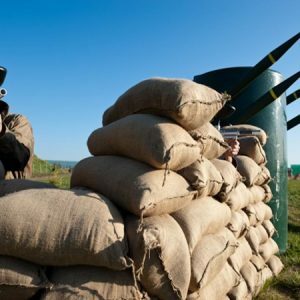 To help you plan the perfect paintballing day, click here and see what a full day at Delta Force Paintball entails.